Trick or Treat? Don’t we always go for the treat? Well, treats don’t always have to be sweet as in candy <. 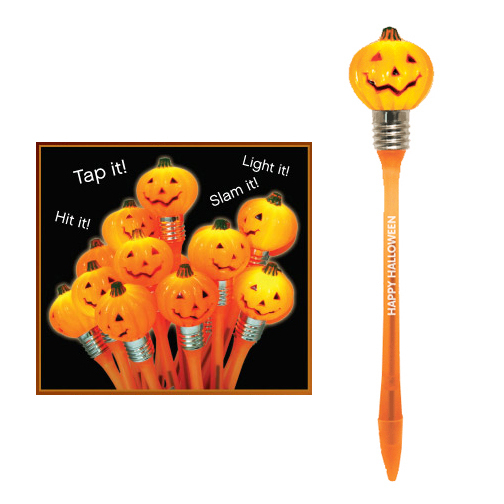 The Halloween Bounce Pen is a great giveaway alternative. Hit it! Tap it! Slam it! Watch it light-up with every bounce. Imprinted on the barrel with your logo or message. It will be a message that will stick around much longer then one that’s on a candy wrapper.